Begin by touring the Basilica of Saint Sophia that was built by Justinian the Great during 6th century. This massive structure will embrace you with surprise with its gigantic dome. Istanbul boasts its Byzantine heritage. 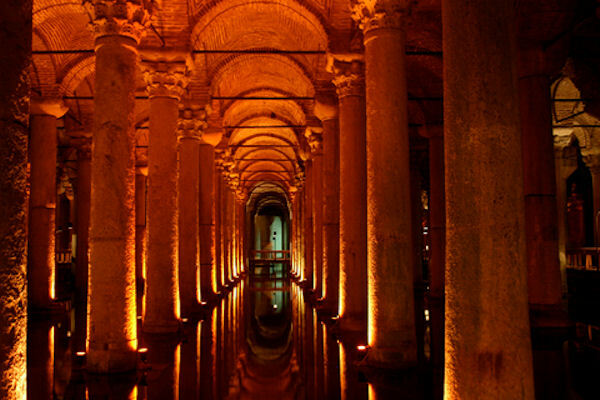 Continuing on you will visit Byzantine Cisterns that will thrill you with 336 pillars placed under the ground to create ample space to serve as water reservoir. Then spend time wandering through Grand Bazaar and Nuru Osmaniye District where you can find opportunities of fine shopping especially for jewelry, leather products and many other handcrafted souvenirs. After this you will be escorted back to your cruise ship. Be sure to bring your camera along. A tour voucher is required for children age 6 and older. No charge for children 5 and under.